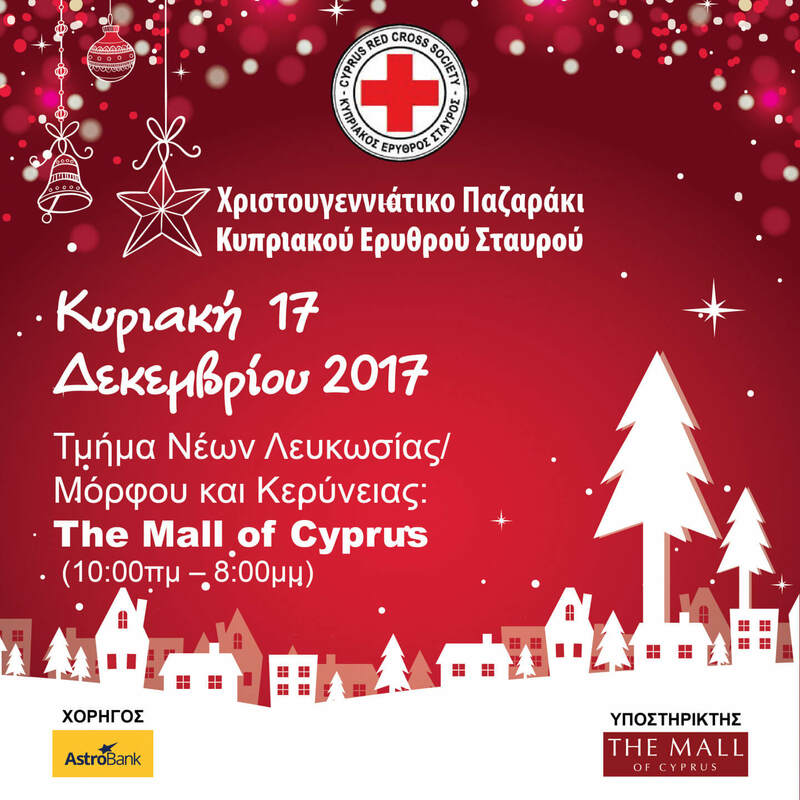 The Youth Section Nicosia/Morfou & Kyrenia of the Cyprus Red Cross Society is organizing a Christmas Bazaar on the 17th of December 2017, from 10:00-20:00, at the Mall of Cyprus. At the bazaar you can find sweets, Christmas decorations, lucky charms and gifts for all ages. Also, the kids will have the opportunity to take a photo with the Santa Claus. All net profits will be given to enhance the programmes of the Youth Section and especially the ‘Student Breakfast’.